With England’s dismal performance in the Premier League it should come as no surprise that many want the coach of the team to be someone different this time. Among the several names that have been coming up, Beckham’s name has been on the list. Having captained England for several years and led them into several victories, it is being felt that the leadership skills of Beckham would work well to get the team together to perform better in future tournaments. Back when David Beckham was a player in the MLS, he helped increase the level of play of the American League and also the image of the sport in USA. 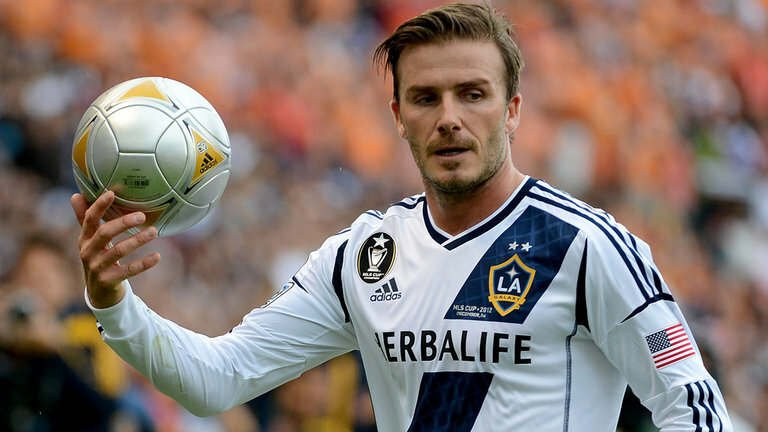 There is no doubt whatsoever that Beckham is one of the most influential figures in the world and after arriving to the MLS as a player of LA Galaxy, this opened new avenues of interest as football received more attention and grew to further levels. Even after retiring, Beckham still continues making a huge impact in the MLS by purchasing a Miami based franchise expansion team. The Englishman has a desire to own a professional football team that competes in the MLS and the biggest obstacle that he is facing right now was the creation of a stadium but a few weeks ago it was confirmed that his group of investors acquired a private land which the stadium is expected to be built. Now that the stadium issue is being resolved, David Beckham is being rumored on targeting which players he wants to join his expansion team and reports has been emerging claiming that C.Ronaldo and ZlatanIbrahimovic are in the watch-list of Beckham as possible players that might be signed in the near future. David Beckham’s dream on having his own soccer team in the MLS has been put under threat and his dream might not turn into a reality due to his project not having local support as well as a number of other reasons. The mayor of Miami-Dade Carlos Gimenez supported the project of David Beckham and just when everything seemed like all of the process was going to kick-off with green light, it has stumbled and struggled with one of the biggest concerns being the implementation of his new stadium as the location still has not been selected. 2 different proposals have been launched from a group of investors which is led by David Beckham with the proposals revealing different locations of where the 20,000 seat stadium could be built. One of those locations is near the Miami Heat’s arena along Biscayne Boulevard while the proposal was for the stadium to be built at PortMiami. The county mayor and the city mayor supported these proposals but they were denied by Miami officials and the stadium lost its support which has seriously complicated the plans of David Beckham. The Major League Soccer commissioner Don Garber unveiled details concerning the project and development of David Beckham. “If we can’t get the right stadium, we can’t go to Miami. We have been challenged to find a site that we believe will be successful. I’m neither optimistic nor pessimistic.It really is a very simple position we are in, if we can’t get the right stadium, we can’t go to Miami.We had two sites on the waterfront. Both were supported by the city mayor and the county mayor, and then we lost that support, so it is clear to me that it is a complicated market in a wide variety of ways,” Garber said. Former Manchester United star David Beckham has said that Harry Redknapp would make a great manager for England following the wake of Fabio Capello’s resignation as the England manager. Fabio Capello decided to step down from his post as the England manager after suffering serious breakdown in relationship with the English football Association over the goal of the captain’s armband from Chelsea captain John Terry. The surprise resignation of Fabio Capello has brought a major hindrance towards the preparations for the Euro 2012 in the summer. The English football Association has revealed that it is working towards appointing a manager in place of Fabio Capello as soon as possible. Harry Redknapp is one of the favourites to take over from Fabio Capello. The current Tottenham manager has been doing a great job for the North London club over the past few years. He has not only been able to guide Tottenham to a Champions League position, but has also guided them to the quarter-finals of the Champions League and also to a position where they can challenge for the title. Tottenham can be considered as outsiders for the Premier league title this season, as there are only a few points away from leaders Manchester City. “Harry’s a great man, great manager. His man management is incredible. I know players, obviously, who have played under him. I’ve trained under him. He’s not just a great manager but he’s a great person as well. I’ve been working with Fabio for quite a few years. 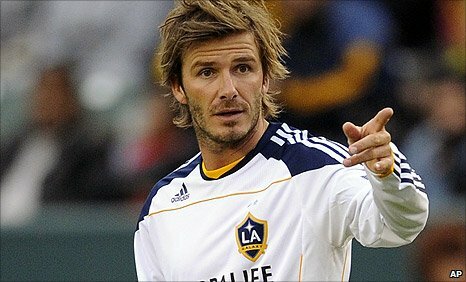 It’s sad, obviously that he stepped at a critical stage for England,” Beckham told reporters. Former England captain David Beckham played under Fabio Capello at Real Madrid and also at international level, although they both did not get along well in both levels of their careers. With a 5- victory below their belts from their Euro 2008 qualifier in September, an England victory against Andorra in the return game really should be a foregone conclusion. The game has been moved from Andorra to the Olympic stadium in Barcelona, home ground for Spanish group Espanyol, and owned by Barcelona City Council. Barcelona is a two and a half hour drive from the Andorran money, Andorra la Vella. But the guideline considers that there is a likelihood that Andorra will safe 1 of the shocks of modern football heritage by winning on March 28 – if the situations are correct. ‘Andorra have nothing at all to drop except three points when they play England in Barcelona – and they drop 3 factors in nearly every game anyway, but for England it wouldn’t just be a national disgrace but fairly possibly the stop of their campaign to attain the Euro 2008 finals in Switzerland and Austria. It all is dependent on regardless of whether England play politics or football. Dropping David Beckham from the England facet was probably much more of a political decision taken by a new England regime intent on showing a break from the past rather than for sound footballing reasons.’ Say the guidebook, lamenting the reduction of England’s former captain who has been taking part in in Spain for Real Madrid in latest decades, and is now set for a move in the summer time to California. In addition to playing an understrength team, the Andorra journey guide take into account that the England manager could have 1 eye on the game, and an additional on the Premiership managers back residence nervously hoping their star gamers won’t be finding up injuries. ‘Andorra often check out to make up their lack of expertise by becoming bodily. There could be pressure on the England manager Steve McClaren from Premiership managers these as Sir Alex Ferguson not to threat star players this kind of as Wayne Rooney in what ought to fundamentally be an effortless game. The Premiership will be getting into a vital stage with just a handful of games left, as well as European games and the FA Cup ultimate stages coming up. We can not visualize Manchester United, Liverpool, Chelsea and Germany’s Bayern Munich getting satisfied at viewing Steven Gerrard, John Terry, Frank Lampard, Owen Hargreaves and Wayne Rooney selecting up injuries at these a crucial time. The temptation will be to play a second fiddle England crew. Even then England really should win easily. But if the gamers who get chosen decide to do just enough to safe the 3 factors it could permit Andorra the possibility of a shock draw or even victory, even so not likely that may possibly seem’. Andorra has a population of 70,000 and is greatest known for her ski resorts, relegating football to a minority activity, and as a European tax haven. The country’s resident population enjoys a tax regime comparable to Monaco, with a zero rated cash flow tax. Residence in Andorra is close to a quarter of Monaco’s prices, regardless of the related tax construction, with rich folks shifting to the Principality to minimise their tax payments. In the eighties Andorra ski holidays ended up low cost and cheerful, but investment in the infrastructure and ski fields has noticed the nation turn into increasingly common with skiers and snowboarders. About 10 million visitors visited Andorra in 2006, but a lack of snow for the initial 8 weeks of this year’s ski time has witnessed a fall in visitors of some fifteen per cent. With Barcelona a two and a half hour drive absent, YourAndorra hopes that some of the travelling England assistance may well venture up for a couple of days skiing. Andorra’s finest known ski resorts are Soldeu, Pas de la Casa and Arinsal. Soldeu has some of the very best new hotels in Andorra, and Arinsal the very best night time daily life. And if the England players wives and girlfriends, frequently referred to as WAG’s in the English media, fancy a couple of days tax totally free buying, the funds Andorra la Vella is complete of division shops stocking high end objects at lowered charges in contrast to Barcelona and England. YourAndorra is one of a series of travel guides for European tax havens which includes Andorra and Monaco. England kick off their World Cup 2010 qualifying campaign with a double away header against minnows Andorra and Croatia, the team that eliminated them from qualifying for the 2008 European championship. With Fabio Capello finally choosing John Terry as his permanent captain just before the unconvincing performance against Czech Republic in a friendly at Wembley last month, all England supporters will now be focusing on the performance the England team give in Capello’s first competitive game since taking over from Steve McClaren’s doomed tenure. Football spread betters who predicted a 2-2 draw might have been happy but the English team were booed off the field against the Czechs as it was only an injury time equaliser from substitute Joe Cole which saved Capello the embarrassment of losing at home in a less-than-full stadium. With England failing again to perform to a demanding public and the rumours of in-fighting in the FA with Chief Executive Brian Barwick leaving his post on the 31st December, the England footballers really need to produce two solid performances in the upcoming double header. Andorra and Croatia were both in England’s European Championship qualifying group so Capello’s players should know both teams well. However, fans placing football spread bets on a high score against Andorra in the opening game might have to look back to the last fixture in March 2007 in the Olimpico de Montjuic in Barcelona as England initially struggled, going in 0-0 at half time before finishing up 3-0 winners, with goals from Steven Gerrard (2) and debut boy David Nugent. The game against Andorra last year followed on from a goalless draw in Israel the week before and it was during this period that the foundations of McClaren’s reign started to crumble. Frank Lampard was missing due to an injured wrist so Gerrard was partnered by Owen Hargreaves in central midfield. However, the Andorran’s defended well and it wasn’t until the 54th minute when Gerrard ran on to a Wayne Rooney lay-off and smashed a trademark volley into the corner of the net. This finally settled England and Gerrard doubled their lead in the 77th minute when he played a one-two with sub Jermain Defoe and beat the ‘keeper from the left-hand side of the area. Substitute David Nugent put a bit of respectability on the scoreline when he scored on his debut in the last minute, after some good work by Defoe. England were far better in the home game against Andorra in Old Trafford in September 2006 when they won 5-0. Like Capello, Andorra were the opponents for McClaren’s first competitive game and the players didn’t disappoint with goals from Gerrard and two each from current Portsmouth strike partnership, Defoe and Peter Crouch. Three points will be good enough for Capello but for the English supporters, a convincing win is also required against Andorra as the team then head to Zagreb on a revenge mission with Croatia. Slaven Bilic’s Croatian team took six points off England in the European Championships Qualifying campaign, a 2-0 victory in Croatia and a 3-2 victory in Wembley which meant England spent the summer watching the tournament instead of being in Austria and Switzerland. When they last met in the Maksimir Stadium in Zagreb, goals from Arsenal’s Eduardo and a farcical Gary Neville own goal inflicted Steve McClaren with his first competitive defeat, something Capello will be trying to avoid. McClaren’s England were trying to be the first side in 12 years to beat Croatia at home in a competitive game, and now Capello will try and do the same on the 10th September. But both Capello and his players will need to look at the performance that night in October 2006. Goalkeeper Paul Robinson will forever be haunted by his infamous mis-kick which allowed Gary Neville’s back pass to roll slowly into the net to make it 2-0 to Croatia but many people forget that Robinson made a number of superb saves to keep England in the game as Croatia dominated. It’s a little known fact that Robinson was trying to match Gordon Banks’ record of seven clean sheets in a row. However, England had limited chances in a 3-5-2 formation and continued pressure from Slavin Bilic’s side eventually resulted in Eduardo scoring with a looping header in the 60th minute. Eight minute later, Croatia doubled their lead when a harmless looking backpass by Gary Neville bobbled just as Robinson tried to clear the ball and it bounced over his leg into an empty net, much to the amusement of the home supporters. Leading up to the final qualifying game, against Croatia, England’s chances of qualifying looked dead and buried following their defeat to Russia in Moscow in October but Israel did them a massive favour by beating Russia to leave qualification back in their own hands. England only needed a draw to qualify for the European Championships but on a terrible night of continuous rain, they found themselves 2-0 down after only 15 minutes to a Croatian side that had already qualified. Scott Carson was brought in to replace the error prone Robinson in goals but he made the worst possible start on his competitive debut when Niko Kranjcar’s shot squirmed under his arms in the wet conditions to put Croatia 1-0 up in the 8th minute. It went from bad to worse when Eduardo played through Ivica Olic, who rounded Carson and placed the ball into the empty net seven minutes later. 2-0 down at half-time, McClaren brought on David Beckham and Defoe for the second half and the former captain was one of only a few England players who performed to his potential. Defoe won a penalty in the 56th minute when Josip Simunic was adjudged to have pulled his jersey in the box by referee Peter Frojdfeldt. England have been unlucky with penalty kicks but Lampard stepped up and held his nerve to give England a lifeline. Even though they had already qualified, Croatia were determined to win and had a good few chances to restore their two goal lead but Carson pulled off a number of fine saves. His efforts were rewarded in the 65th minute when Beckham sent over a trademark cross to Crouch, who controlled excellently with his chest before firing home. With that scoreline England would have qualified but with 13 minutes to go, Croatian substitute Mladen Petric drilled home a 25 yard shot to kill off Englands hopes…and with it Steve McClaren’s short reign as England boss. So, plenty of lessons to be learnt for Capello and England, will they learn them before the double header though? David Beckham has stood down as England captain following the 3 Lions Earth Cup quarter-last defeat to Portugal. Beckham was first presented the captaincy by then England caretaker boss Peter Taylor in 2000 and continued in the function underneath the 5 year management of Sven-Goran Eriksson. It was Beckham’s leadership in the final 2002 Planet Cup qualifying game at property to Greece at Previous Trafford that will be most fondly remembered. At the peak of his talent, Beckham single-handedly dragged England over the finishing line to qualify for Japan and Korea, a sensational very last moment free of charge kick earning England a draw and automated qualification. As Beckham spoke of his intention to phase down as captain with immediate effect, tears began to properly in his eyes, a decision made even a lot more heartbreaking following England’s exit. An emotional Beckham stated “It has been an honour and a privilege to have captained our country and I want to tension that I desire to keep on to play for England and appear forward to aiding equally the new captain and Steve McClaren in any way I can. “This determination has been the most tough of my occupation to date. But right after discussing it with my family members and individuals closest to me I experience the time is correct. Beckham grew up in the East Finish of London and often harboured a wish to play for his boyhood heroes Manchester United. Alex Ferguson gave him his chance at first team action at United and Beckham never ever looked again, quickly turning into a nationwide and world icon. A rift amongst Ferguson and Beckham led to the ex-England captain’s transfer to True Madrid in the summer season of 2003, however he is nevertheless waiting for his 1st major honour with the Madrid club.